June is he who should be my son-in-laws birthday month and every year I try to come up with something a little different – not to mention manly – for him. 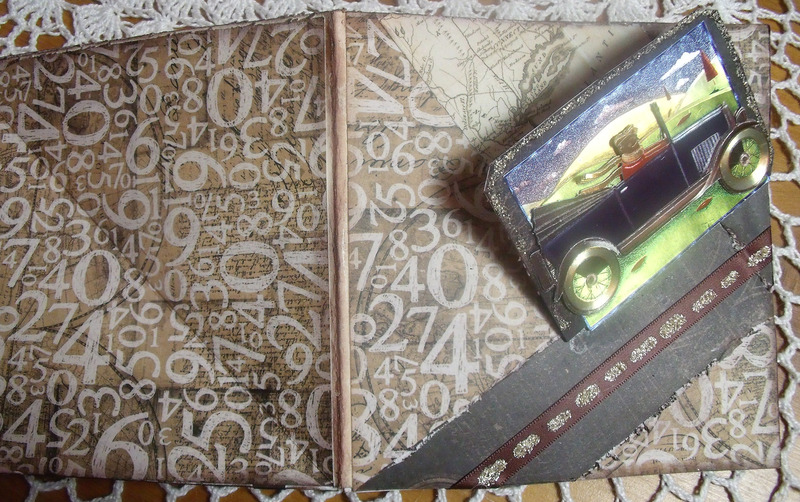 One of the ideas my two daughters are cooking up currently is taking a road trip across the US of A and of course SiL would be the driver…… so with that in mind I decided to create a card I could hide a couple of Lotto tickets in and maybe a scratchie or two. [That’s a gift idea for the man who has nearly everything]. And if they come up trumps the road trip in ON!! Instructions for basic easel shape: Make a diagonal score line on the front of the card from top right to bottom left. 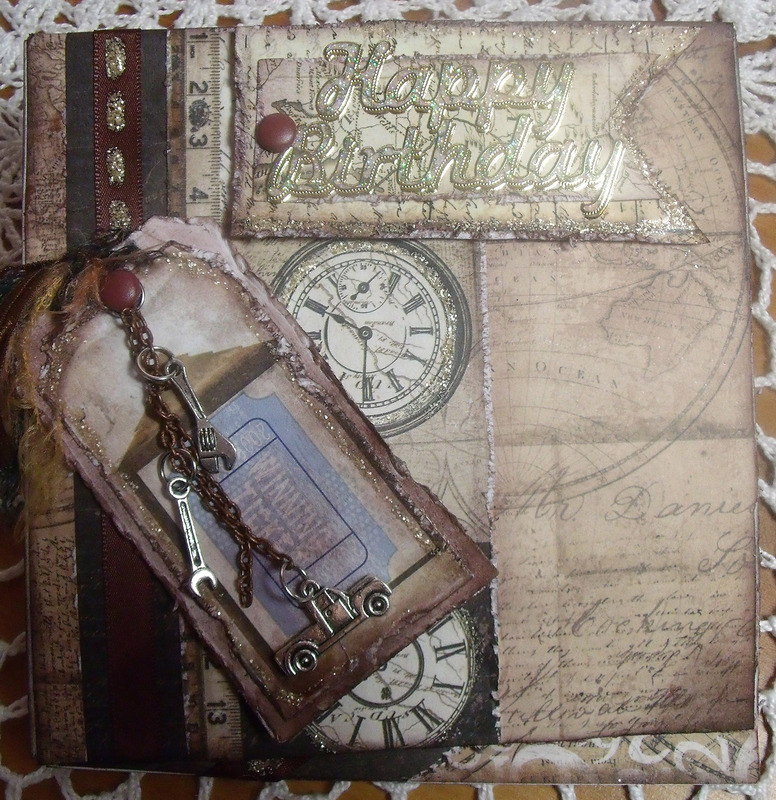 Attach another piece of card the same size to the front by gluing from the right side of the score line only. The 3D open tourer card is attached by a tab at the bottom – it needs to be flexible. The little tag has a secret pocket for a small scratchie ticket to slide into ….. I covered the back of the card with paper too, so that the whole thing shows a map of part of the US wherever you are looking. Paper is from the Prima ‘Engraver’ line. 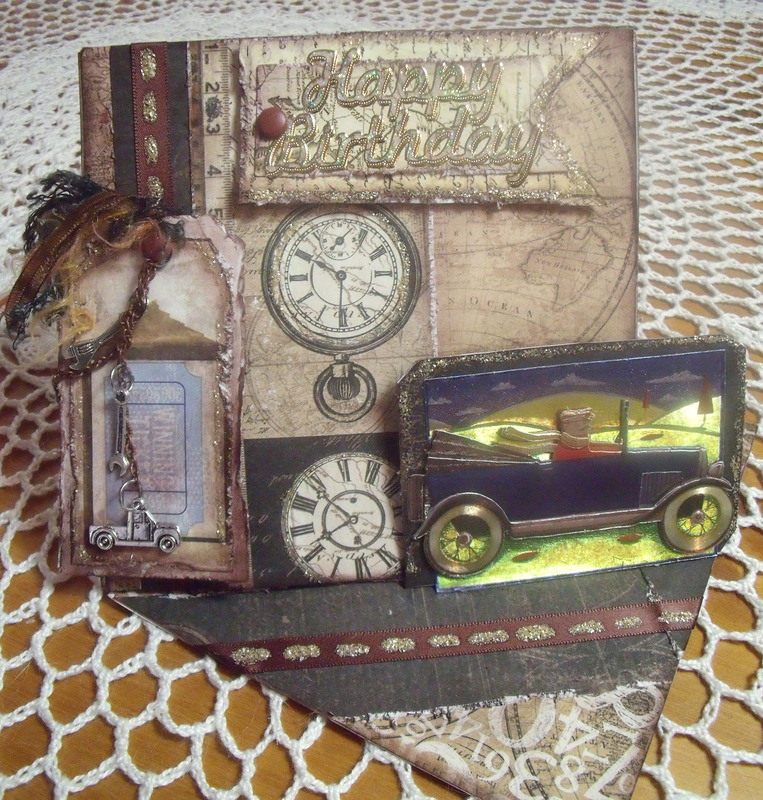 This entry was posted in Creations From My Craft Room and tagged birthday, card for a man, easel card, gift idea, road-trip, USA by thecontentedcrafter. Bookmark the permalink. This is pretty cool Pauline! Awesome! Great job on the video too, adding music and all dese tings! Music is better than me trying to talk ….. you know – um – er – etc… also I thought that particular song fitted the theme …. ? And dis [dat?] is why Ah will not be steerin’ the [de, da, der???] car when Ah is in Ja! man!! [Blush, how was that?] I fear it sounds more like ‘Gone With The Wind’ than anything else. Language never was one of my strong points…. Ah no, you were surprisingly spot on, and either version could have worked, good job on that 😉 dwl!